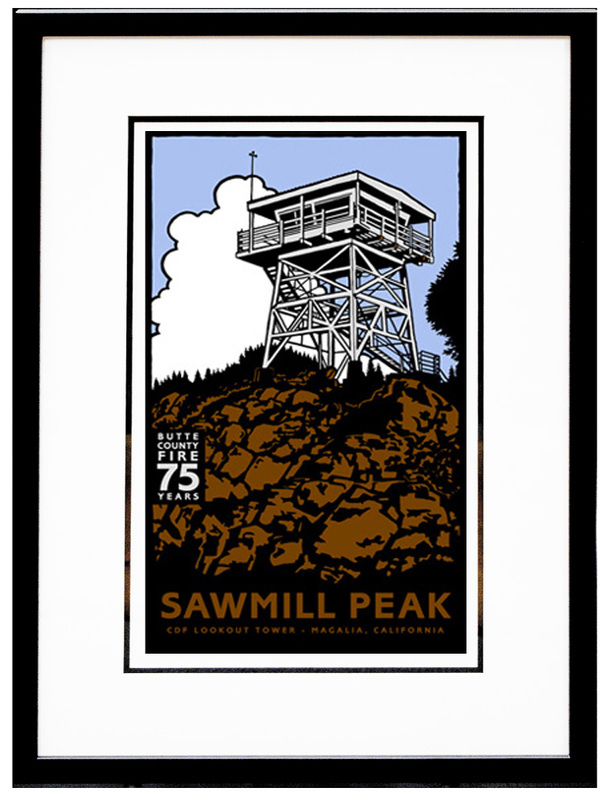 Our "Basic" frame package for the Sawmill Peak image, as shown above, includes: acid-free foam core backing, archival double mat (Antique White top mat and Raven Black bottom mat; 3 1/4" overall viewable width, 1/4" reveal on bottom mat), standard plexi-glass, and a 1" smooth black, gesso coated wood frame. For other framing options, contact us. 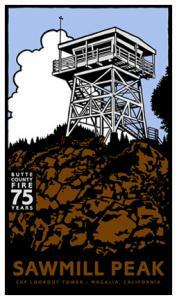 This image commemorated the 75th Anniversary of the Butte County Fire Department. The image matches the size and format of the Chico Landmark Series, but was distributed independently of the series. 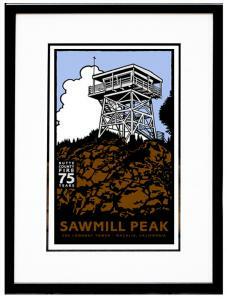 Sawmill Peak is a well known fire lookout in Northern California. A perfect gift for any Fire Service worker!